Air and sun your pillows, plushies and other accessories with this unique mesh holder! Featuring a durable porous material, this essential is usable on all regular clothes hanger. Sun-kiss your linen accessories or everyday laundry with ease today! 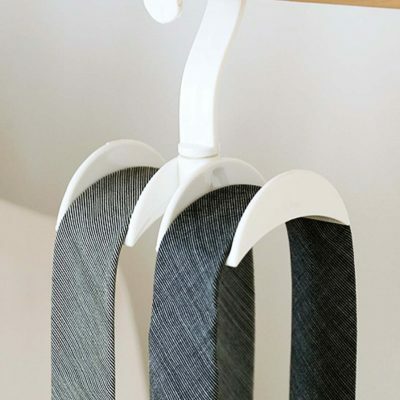 Keep your essential clothing accessories organized with this unique hanger! From ties and belts to scarfs and shawls, our Accessories Multi Hanger helps to arrange them neatly, allowing for easy accessibility while maximising wardrobe space. Slim, well-designed and sturdy, say good-bye to a messy closet today! Add a touch of European and Nonya design styles to your home with our Artisan Rattan Basket (3-Tone Design)! Featuring a retro design with a hint of modernism, this spacious basket is perfect for organizing laundry, toys, food snack and more. Coming in a unique 3-tone design, wave goodbye to unsightly mess today! Promo: Save 5% with a 2pc promo set! Comes with 1 of each colour. Browse our Artisan Rattan Series right here! With designs inspired from European & Nonya cultures, our Artisan Rattan Mini Crate is an elegant and timeless way of organizing your home accessories. Spacious, sturdy and beautiful, bring home a matching 4-piece promo and add a classic touch to your house! Promo: Save 8% & enjoy free Express Shipping when you purchase a 4-piece promo set! 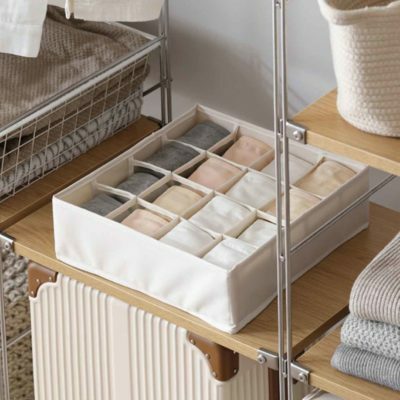 Organized your bedding, fitted sheets, linen, clothes and other living accessories effortlessly with our Canvas Clear Storage Box! Just as its name suggest, this unique box comes with a clear film which allows you to easily view its contents. Besides, its foldable design means you can fold it flat when not in use to save space! Get a matching set of storage organizers with our Canvas Storage Series! 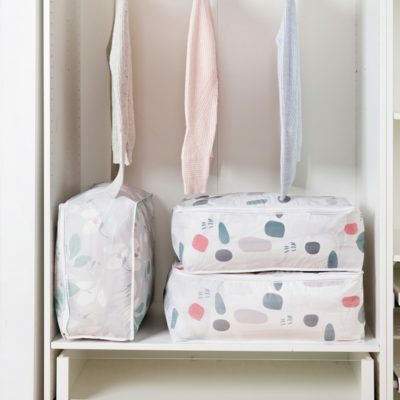 Add a touch of simplicity to your storage organization with our Canvas Quilt & Clothes Storage Bag! Protective and spacious, this storage bag is perfect for organizing clothes, undergarment, bedding, fitted sheets, linen, toys and more. Coming in 2 different sizes to suit your needs, be sure to bring them home for a seamless storage experience! Usually overlooked as a storage option, our Canvas Underbed Storage Box helps to seamlessly utilise the space under your bed! 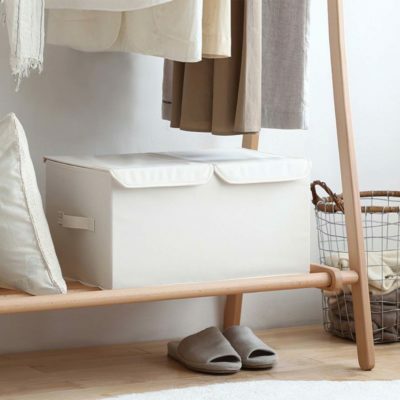 Slim yet spacious, this unique box is perfect for organizing bedding, fitted sheets, linen, clothes and other essentials. Besides, its foldable design means you can fold it flat when not in use to save space! Say good-bye to unsightly moth balls and damp closet with our Cedar Moth Ball & Dehumidifier Hanging Holder! It comes with a sleek holder containing a natural wood cedar moth ball and dehumidifier packet. This unique combination helps to keep the environment fragrant and dry, thus preventing bacterial growth. 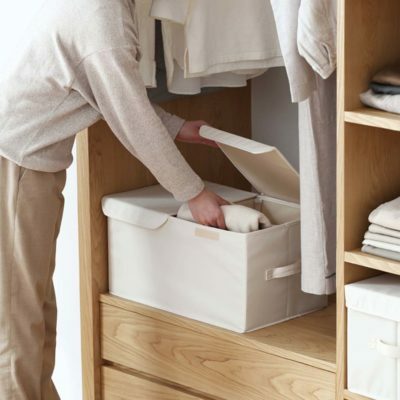 Simply place it in any wardrobe, shoe rack, drawer or bathroom to use! Promo: Save 5% when you purchase a 2-piece set! Made with the finest materials, our Daylight Foldable Drying Hanger is the perfect essential to dry smaller laundry pieces! Its 18-clip design is great for socks, undergarment, lingerie, hand towels and more. Besides, when you are done, simply fold it up! Slim, exquisite and well-built, our Daylight Slim Drying Hanger allows you to dry your laundry quickly and easily! It features an 8-clip design – perfect for airing socks, undergarment, lingerie, hand towels and more! Say goodbye to messy closet and crumpled clothes with our Easy Reach Clothes Organizer! Coming in a 5-piece set, this organizer helps you to place and retrieve clothing effortlessly – thus reducing wardrobe mess. To use, simply stack and place clothing in between the layer! Designed for the minimalist lover, our Essentials Storage Box is perfect for those looking to keep their home neat and tidy! Aside from its beautiful design, this organized box is made with quality materials, making it sturdy, light-weight and easily stackable. Besides, it features a lid to keep out dust and dirt. 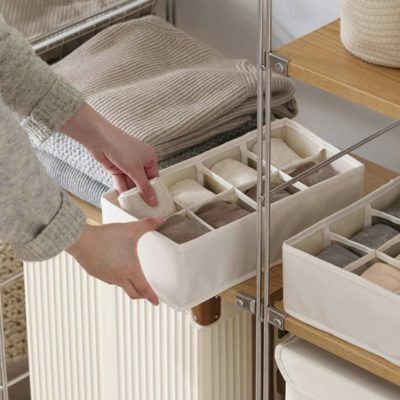 Coming in 3 sizes and 4 colours, you may now organize your home essentials effortlessly!